Thankfully there have been no major adventures this week. However, I do have some pictures and videos to share. Sister Bodell and I went to the open air market on Thursday. It smells a little fishy because there are a lot of people selling fish, but there are lots of fresh vegetables, fruits, eggs, and other meats for sale as well. 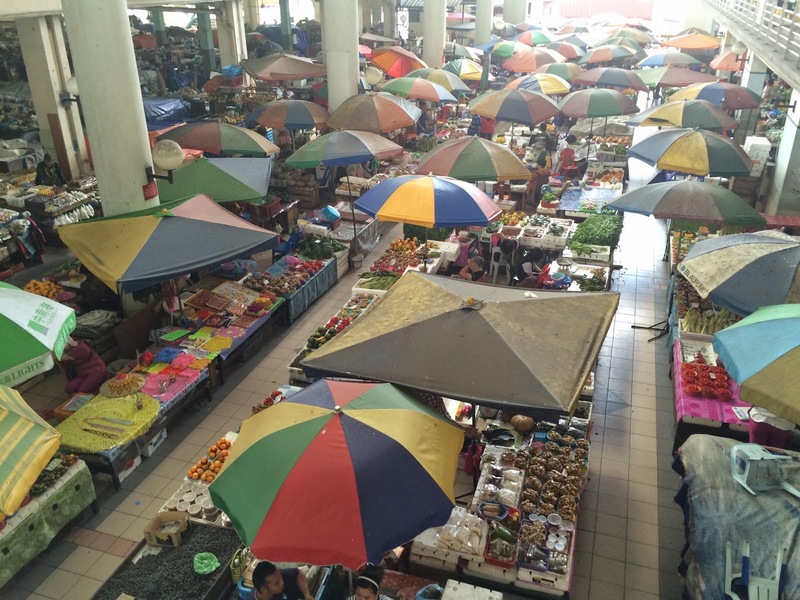 It is an open air market, but it is covered. 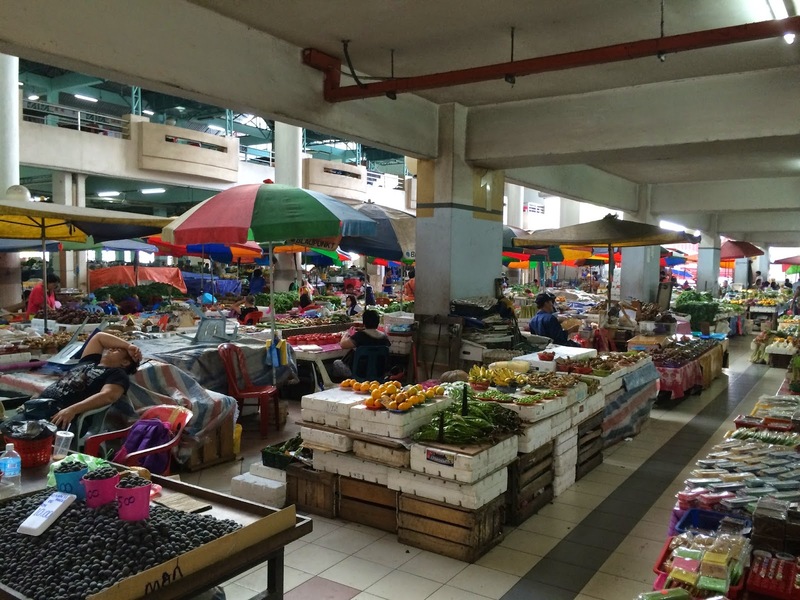 Another view of the many stalls in the market. Now, if you're a little bit squeamish, you might want to skip these next two videos. It's amazing what they sell here! Yes, those are live chickens wrapped in newspaper. Your chicken can't get much fresher than this! Umm, yummy! I have no idea what these are used for, and I don't think I want to know! 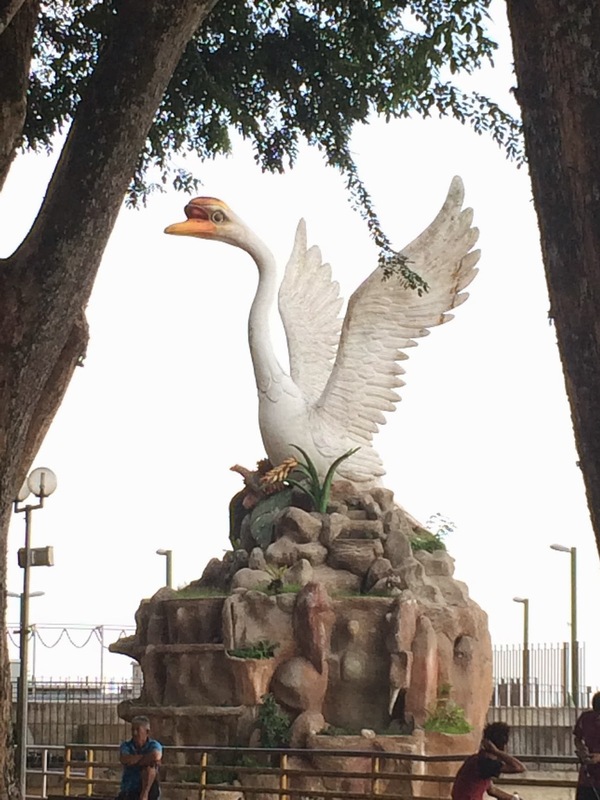 On a brighter note, Sibu is really big on swans, but there aren't any real swans around. It's of Chinese influence, but the native people aren't really keen on them. Even though there are many around, the swan statues are of no significance to them. There are several statues like this around, but this is the biggest and nicest one we've seen. It's on the river front. Last night we went to dinner with the Mills and a wonderful Chinese couple, Ng and Richard, and their two children. Richard was one of the first, if not the first to be baptized in Sibu about 18-20 years ago. Obviously, he was only a teenager back then. This is actually the second time they've taken us out to dinner. The Chinese food in these restaurants is amazing! It's real. American Chinese food will never cut it, again. More about cars. Apparently the powers that be didn't start negotiating with the insurance company on time. The car insurance on several cars in the East Malaysia side of the mission expired last night at midnight! That means we've stayed home today. We can either call a taxi, find a member, or walk if we want to go somewhere. We did get an email today saying that we should be able to drive tomorrow. Let's hope so. It hasn't been an issue today because we've spent the day getting things together for the Chinese Branch Halloween party tomorrow night. The branch wanted an American party. Sister Bodell has been baking today. She still needs to make chili and corn bread. The decorations and music are ready. The other senior couple is bringing deviled eggs and a movie. It should be a fun party. There are a few games in the works, too. Hopefully I can get some pictures of it to post later, and hopefully, we will have the use of our car to haul all this stuff over to the church. Hooray! We can drive again! We got word last night! There should be no problem getting the party stuff to the church now.